Contractors using a PDT (hand held scanner) will also be required to provide insurance for the scanner. 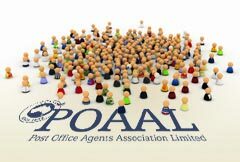 POAAL offers Mail Contractors the opportunity to access the insurances they need under their contract through the POAAL master policy insurance policies. Details of the premiums are listed on POAAL application and renewal forms. POAAL cannot provide advice or information regarding insurance products. For quotes or information on insurance, including vehicle insurance, sickness insurance and more, please contact POAAL’s insurance broker Network Insurance Group on 1800 639 177 (from land lines or mobile phones) or visit their website.